Where does this figure come from? You need to look at more than rated torque at the crankshaft. If you are making 170 lb/ft of torque at the crankshaft then running it through the transmission in 1st gear (3.76:1 gear ratio) then through the differential (say a 3.90:1) subtract roughly 10% for loss through the trans, driveline and diff then split it in half (each rear wheel) you are looking at somewhere around 1250 lb/ft of torque at each axle. Then you take the shock loading from a rough shift and multiply it by 3-4X. Then you put the side load on them from the cornering loads. Yes the turbo axles would be stronger but good luck finding them and the hubs to go with them. My recommendation is get new standard axles (still available from BMW) and set up an inspection schedule based on Mileage or hours of race time. Pull them out and have them crack tested, replace as needed. 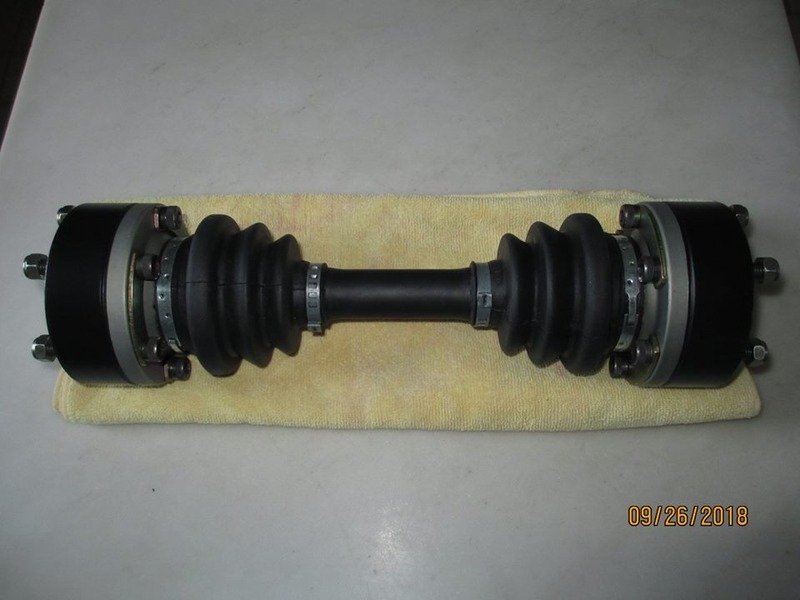 I'll bet you will find other parts of your suspension/driveline that have a shorter life span than the stub axles. You would need to do this inspection with the Turbo or Ireland axles too. My concern is the cornering loads these 11” slicks will produce hence the original question of which axle is the strongest. I can get the Turbo stuff actually for a few hundred over the Tii parts and a wash cost wise with the Ireland stubs and new Tii hubs. For sure I will be recording the race hours and magnafluxing annually given how shot my current axles and hubs are. It’s scary that these were so fatigued it’s an area where I will spend whatever it takes for racing safety. Has anyone had a new Tii axle and hub fail? I ran a GT3 (B Sedan) for many years and only had 1 early axle fail (it was an original 1969 car with over 150,000 miles on it when we started racing it) We put the newer axles in it and did not have a problem for the next 4 years until we sold the car. My Alpina 2002 Gr. 2 car makes 270hp (8300 RPM) at the flywheel & 175ftlbs torque at the flywheel at 7500 RPM, uses <modified>o2 Turbo trailing arms and stub axles + modified output shafts that are several inches shorter than standard...and runs 11x15 rear wheels. Output shafts + Cv's were all mag'd and then REM finished. I can't say for sure but I think the main reason they used the Turbo stuff was because the bearings are larger than the Tii bearings which in theory would help in longer (4, 6 and 12 hour races)...of course this car will never see a race like that again. 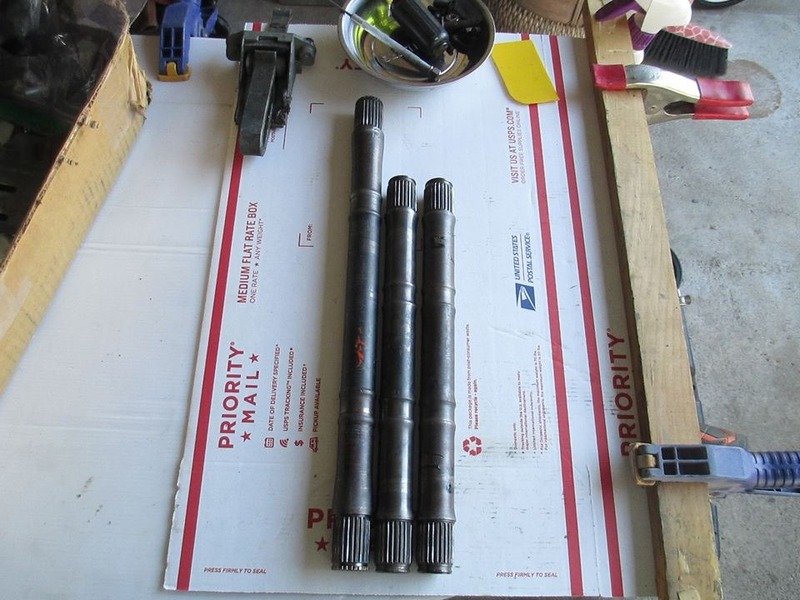 I run 320 hubs and stubs and trailing arms. I would think, like Byron, that the newer (post 73) design would be fine. The rolled splines are very tough by design. The hubs are less so, but still pretty stout. was when things got loose AND I didn't catch them in time. a tight turn into your pits with hot tires. And miss. problems with the axles or CV's. Not sure I can make quite that much, but as Byron says, multiply that by 3.8 and then 4.4, and it's quite a bit..
Toby, will an E30 hub fit? Translation...1. Drive shaft with sliding sleeves - sliding range up to 60 mm - weight 5,990 kg - black painted. Total length 400 mm - lengths on special measure possible - from 1970 to 1980 in Formula 1 or formula 2 used. Price per shaft 450.- € Length according to customer's instructions Delivery time 1 week 2. Drive shaft chromed 1970 to 1980 Weight 4,850 Kg this special variant is Extremely relieved (polished, molded) and does not require balancing. Unfortunately, this is Variant not available since 2001. Thanks for the info. Seems like anything newer works fine I did read that BMW made the later axles and hubs at a higher Rockwell hardness. My motor won’t make quite as much as yours Mark it’s going to the engine dyno next week. Going to be testing multiple intake and exhausts to try to find the best combination on my M10. I have had pretty good luck with stub axles in my race car by refreshing every 5 seasons. I have however once had a rear hub shear around the bearing race. i have had way more trouble keeping 168mm diffs from self destructing with big slicks and race motors. by 11” wide I am assuming you mean the section width of a 23x9 or 23.9.5 cantilevered race tire for gt3? Not as far as I know. It's such a different design that I never even tried. so SCCA got over themselves a little bit to find an alternative to the Hoosier. I want to support the FAQ!